The AWED :Greek conducted here whole of March presents a simple round up with delectable vegetarian and vegan dishes. These are presented in 4 courses and I hope you enjoy the menu. Meze or Mezzethes is the collective name of small dishes which are more than appetisers.These are served with wine or ouzo and can generally range from snack to light meals and includes dips,sauces,small sandwiches,etc. Spanakopita starters from Sumathy -Filo rolls with spinach and feta cheese filling baked and presented as a filling starter. Fasolia gigantes me plaki stou fourno from Ivy - a hearty dish made from lima beans baked in tomato sauce,this is a staple in almost all the Greek taverna and must not be missed. Patates stou fourno from DK -the Chief Chef of Awed has baked lemony and garlicky potatoes thats another staple side in the tavernas or if you ask me this mouthwatering dish can be served even on its own. Greek roasted potatoes from Priya Mitharwal is a perfect dish as a side or stuffing or snack or whatever way you like it and from what I read is definitely kid friendly. Arakas me Anitho from Yours truly is simply sensational dilled peas with bell peppers and a perfect side or as itself. Kritariki me Fakkes by Peter Minakis -a hearty combination of orzo pasta and lentils this is the dish perfect for lent and or any season comfort food as per me. Whole grain Spanakopita Pie from Yasmeen - made from scratch using whole wheat flour rather than the easier filo sheets and filled with lots of healthy greens and low fat feta this is heaven and is guilt free main course. Vegetarian Moussaka from Swathy- A classic three layer dish of eggplant,meat and bechamel sauce she used a combo of potatoes,mushrooms and zuchhini replacing the meat layer and reduce the amount of cheese to make it less in calories but definitely hearty and filling and more tasty.A time consuming preparation but hearty and a must try. Vegetarian Moussaka from Cooking foodie - A tasty twist on the classic dish this one has eggplant,potato and zucchini and the meat layer is replaced with split yellow lentils which makes the dish more more hearty and filling. Greek Macaroni and Cheese from Lisa -A Greek touch to the tasty mac and cheese makes it more hearty.Made from a combination of cheeses like Gruyere and feta along with fresh spinach and kalamata olives this is an excellent main course. Couscous Salad from Nayna -she fell in love with it whilst on a holiday in Greece and later tried at home.A hearty and simple and filling salad made with couscous,cucumber,bell peppers,etc this is another dish that can be put together easily. Spanakorizo-Greek Spinach Rice from Yours Truly - a hearty rice dish made with long grain rice and fresh spinach,dill and parsley this is mouthwatering and filling. Lagana-Greek Flatbread for Lent from Yours Truly - the finest of Greek breads attempted here and though amateurish the bread was hearty. Revani-Greek Semolina Cake with Syrup from Priya - A rich semolina cake which is soaked in lemony sugar syrup and is perfect with a cuppa or post lunch dessert. Galaktoboureko-Greek Custard filled phyllo pastry from Priya - A milk or custard pie this has buttered phyllo/filo layered in a pan stuffed with a rich custard made with semolina,eggs and sugar flavoured with orange or lemon and baked -a rich lipsmacking dish indeed. Halva Moraitikos-Greek style Semolina Halva from Yourstruly -a fuss free dessert made from semolina,butter,sugar and water spiced with cinnamon and baked studded with almonds. Kalyani of Adiruchi celebrates Greek cuisine with a delectable platter having Pita bread,Hummus, baba ghaoush and Mujjadara. Greek was her favourite cuisine but when she found she has not cooked much Greek she went ahead and gave us a complete feast. The taverna has 17 chefs who has ready a total of 29 dishes what more do you need to enjoy one of the finest cuisines of the world.Hearty Thanks to all the contributors and do let me know if I has missed anyone or given a wrong link. 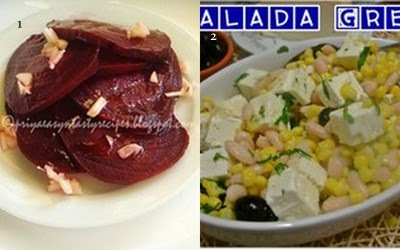 Hope you enjoy heartily from this simple taverna with a delectable hearty menu.Kali Orexi! 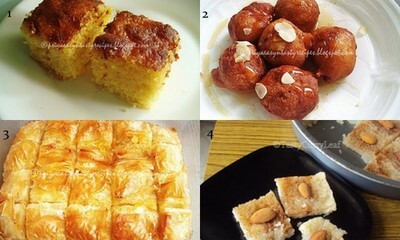 Lovely roundup CL..i truly enjoyed making out greek dishes & pastries..Many more dishes to try out..
Wow, all these delicious dishes are making me hungry. Congratulations to all the participants for making such wonderful dishes and to you for hosting the event. 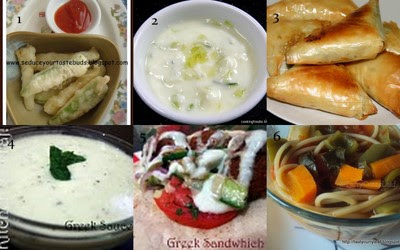 First, congrats to all who cooked and contributed to this round-up of Greek dishes. Secondly, congrats to the hostess for taking the time to organize the post and invest all this time. 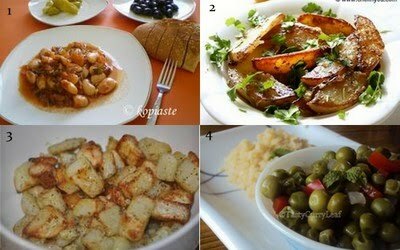 Greek food is delicious, it's ancients and it's healthy! Wonderful roundup! 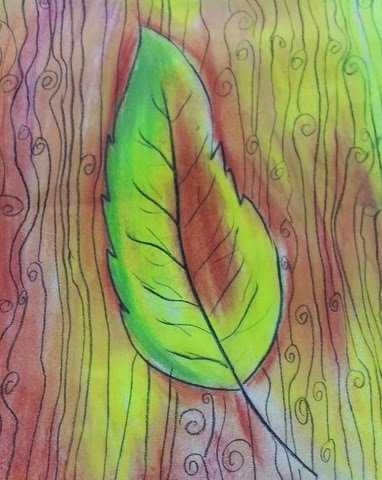 Thanks for your efforts and there are lots of ideas here for me to try. Lovely round up, enjoyed making it.Now i need to try lot of dishes. I've been following your Greek odyssey this past month. And what lovely roundup to cap it all! 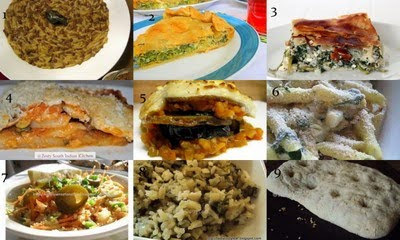 Wonderful round-up of Greek food! Making vegetarian will be no more a problem! wow, wow and double wow! So many dishes!! I am reeling with ideas now! Bookmarked this page to try. The number of dishes that I have tried from all your roundups have been so many!! Should update you on all of them! Will do so one day..